A Yerba Buena neighbor writes that Moscone center is looking to expand and that means they’re asking to take over part of the Children’s Playground (since it sits on top of the building). 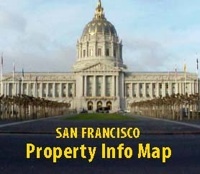 The meeting is on Tuesday April 16th at 6:00 pm at Moscone Center South, Esplanade Bldg., Room 300. It’s an opportunity to learn about the plans for the expansion. Click here to see the flyer for the event. soma leadership council · "… to ensure that South of Market remains a compassionate, diverse, vibrant and complete neighborhood."